The hall entrance is at the end of Highland Road where it joins the A224 Orpington Bypass. The hall has its own car park. View road, rail and bus directions to the Hall. 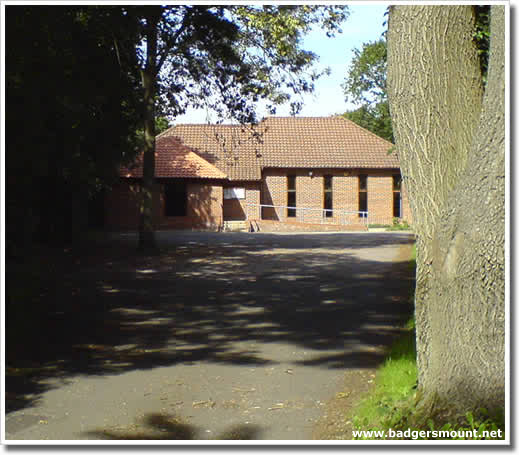 The use of bouncy castles is not permitted in the Badgers Mount Memorial Hall due to Indemnity Insurance exclusion. 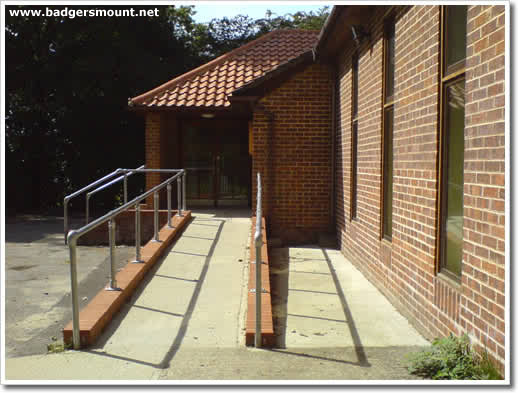 Access ramp for wheelchair users and new entrance lobby extension. Pilates and Yoga, Toddler classes, Play School, etc.